Uh .. trading! 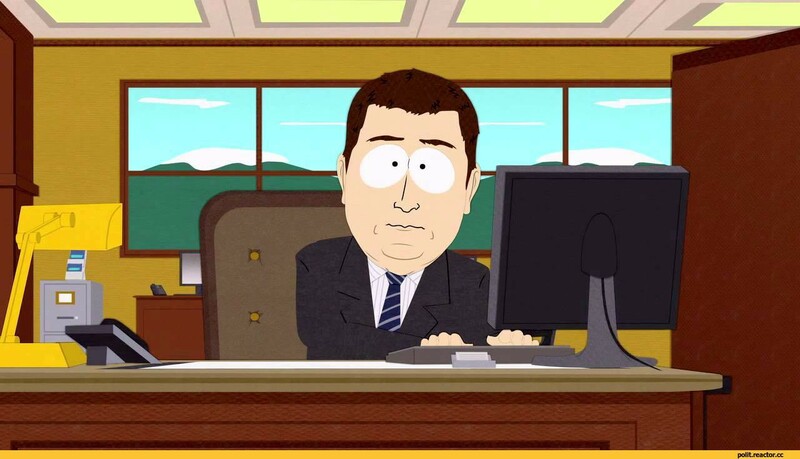 We missed you ……..aaaand it’s gone! In other terms, why is everybody talking about cryptocurrencies? and what is going to happen now? As a finance guy and fan of capital markets, it didn’t take long before I came across ICOs (Initial Coin Offerings) and becoming intrigued. I have been reading about this trend for few weeks now and I reached some important considerations. The new crypto hype poses very interesting, fundamental questions and challenges to the monetary system as we know it, and where there are fundamental questions there are fundamental opportunities. I am particularly excited about the blockchain protocol that enables smart contracts, the ground-breaking innovation brought by Ethereum. Being at the dawn of such a new technology, its full potential and multiple use-cases are far from being fully understood and (crypto)currencies are just one of many. Decentralisation of records and data is such a fundamental innovation that it will inevitably find adoption in many fields outside of the financial markets. I recommend this research for further reading on the topic. There have been many ways to dub the current crypto-mania. Some went as far as calling it a bubble. This article argues it is hype rather than bubble because of the intrinsic limitation in terms of a) current use-cases, b) number of people participating (the numbers of developers committing to the Ethereum Ledger is probably in the thousands worldwide), and c) scalability of the blockchain. At this pace of speculation, regulators will soon notice the buzz and step in to even the playing field. If it’s true that the current status of the blockchain entails some structural limitations, I’m also concerned that if you leave kids playing with fire for too long, they might accidentally burn the forest. I’m not a fan of regulations per se, but we all noticed what deregulation meant for derivative securities on worldwide trading speculation. That’s why I believe awareness on the topic will help all the stakeholders involved to find solutions to problems that might appear at the horizon due to new use-cases, ICO’s (Initial Coin Offerings) being one of the most recent examples. What the video lacks to explain is that the most intrinsic innovation of the Ethereum-type blockchain is that new cryptocurrencies cannot only be used on the company’s own environment (like on CoC), but also on other ones. In other terms, your crypto wallet of coins “A” valid on environment “A” can be exchanged for coins “B” valid on environment “B” thanks to smart contracts or tokens (specifically the ERC-20 token standard, compliant with Ethereum), which creates a de-facto alternative market for currency exchange. Imagine owning gems on CoC and being able to swap them for credits on Candy Crush just like trading EUR for USD, and this without the need to a centralised market or authority. It’s important to stress that currently the state of the market is not such to allow a fast, seamless exchange for all newly-issued coins: there is still the need for some intermediaries capable of enabling the it and that can offer sufficient liquidity. Especially the latter is a biggest uncertainty as much as the demand for cryptocurrencies seem to keep growing and the perspective of easy-money attracts more investors. This is where things hit a point of no return for me: the fact that the presence of more unsophisticated investors will attract more companies to the ICO’s opportunity and, in a unregulated and non transparent market, it will hard to assess for quality. Obviously there are differences in terms of liquidity, price, market cap (see overview here), but little is known about the issuer. Also think about it in this perspective. While BitCoin was based on the notion that the total amount of coins available is limited (called the Proof-of-Stake, which is when all the coins are issued or mined), Ethereum has not such a thing (yet?! ), which leaves me wondering why the market remains so bullish about it. Setting a cap to the number of coins in a decentralised, open-source network like blockchain is a powerful mechanism not only to prevent opportunistic behaviours by its participants but also to protect the value of its currency. Higher scarcity of an asset is the key driver of higher prices, and I am very wary when this rule is not what current trading patterns are based upon. The lack of a cap would not be a concern per se if the coins were somehow backed by some sort of asset or security, but this is not what’s happening at the moment as the only underlying asset is the promise that a certain environment will acquire value in the eyes of the users. Issuing equity-backed coins by means of ICO’s seems a possible solution, but there certainly are others. The sooner the market finds a way to better vet companies issuing coins the better for the future of the market itself. I expect more and more companies will jump on the ICO bandwagon. I don’t think ICO will replace traditional funding from angels and VCs, but it will make it easier for early-stage tech founders to by-pass them and their scrutiny, raising much more than they could ever dream of. The limitations are that a) there is little due-diligence by traditional investors (thus more lemons on the market) and b) the liquidity they acquire can be used for purchases of a limited set of resources (unless they start to pay employees in crypto, which is the beginning of the end). Existing companies will adopt Blockchain and launch their own crypto, like billion-dollar Kik did. I’m more optimistic about these type of crypto as the issuer is likely to be more trustworthy than a pre-rev startup. I think the immediate applications will be aimed at creating higher customer affiliation by e.g. granting reward coins for recurring purchases (similar to loyalty points) and will probably be less influenced by speculation because there’s simply less room for wild speculation compared to an unproven, unknown issuer. Rise of trading tools and crypto-backed securities. Inevitably, we will soon see new entrants or incumbents offering things like options, forward contracts, CDS… any security which is already available for other commodities. I really much look forward to the surge of these contracts because it will attract even more investors which will either self-regulate the market or attract the attention of the regulators. Regulation and implications. Regulation will eventually come and only then we will know which cryptocurrency will have value and which won’t. I’m optimistic about this opportunity: I think cryptocurrencies can provide a much needed relief to economies struggling with lack of inflation and stagnant growth. In this regard, I am not surprised Japan has been the first of the major economies to regulate BitCoins this April. Japan has been in the so called liquidity trap for a couple of decades and, without delving into the macro-economic considerations of this concept, it seems like a new type of authorised currency will entail real-economy benefits similar to those traditionally expected with expansive monetary policies (which in recent years were unsuccessful). I remain cautiously optimistic about the whole crypto hype. My personal view is that blockchain does have the potential to create monetary anarchy, but I’m also aware that it’s in the interest of the market participants the the hype doesn’t turn into a burst and will therefore take actions to prevent that. If they won’t, the duty will inevitably fall on regulators, like it occurred in Japan. Note: huge shout out to the genius who created the term ICO. Some 5 years ago I was the first to one to use this definition but defined as Initial Crowdfunding Offering (see this article), but it seems that my version didn’t catch up. Note2: for an overview of all ICOs refer to this link. No, I am NOT encouraging you to invest!